The Office cast reunited for brunch, and why wasn't this filmed for the reboot? The Office cast got together on Sunday, December 2nd, 2018 for their biggest reunion yet, and we’re calling it—they’re totally doing an Office reboot. 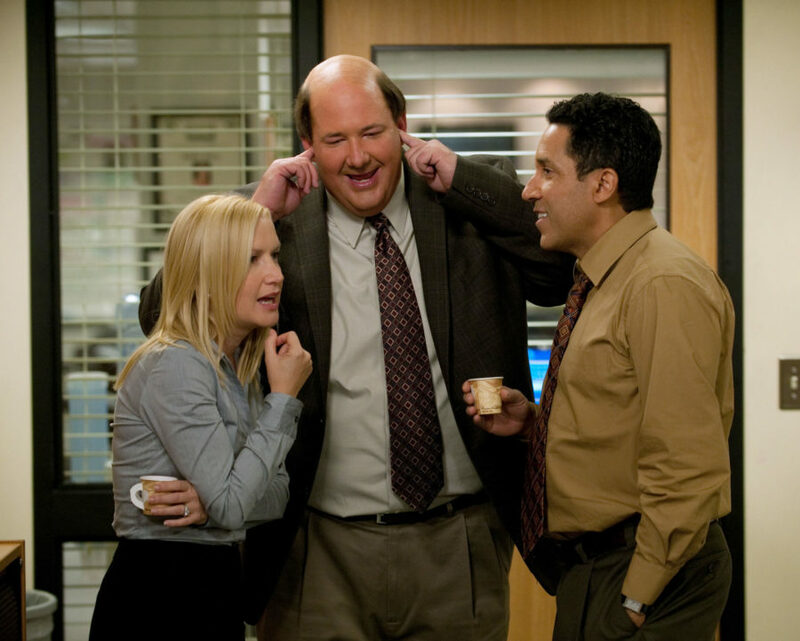 Okay, maybe they just reunited because they missed each other but The Office reboot talk has been floating around the general consciousness a lot lately. Maybe they all linked up to discuss the possibility of getting the band back together? Jenna Fischer shared the photo from the cast’s brunch on Instagram, calling it the “best brunch ever.” The former cast mates posed for the brunch photo à la the Dunder Mifflin holiday card, and we’re weeping a little bit. The show’s creator, Greg Daniels, organized the event which brought together Fischer, Ed Helms, Rainn Wilson, Leslie David Baker, Brian Baumgartner, Angela Kinsey, Phyllis Smith, Creed Bratton, Oscar Nuñez, and Paul Lieberstein. Naturally, fans were all like “Where’s Jim?” We’re sorry to report that John Krasinski, Steve Carell, Mindy Kaling, B.J. Novak, Craig Robinson, and Ellie Kemper did not make it out to the get-together. Listen, can a group of old friends meet up for brunch? Sure. But this huge reunion comes just weeks after Carell hosted Saturday Night Live where he, Fischer, Helms, and Kemper did a whole Office-reboot bit. In the bit, the three cast members posed as audience members and hijacked Carell’s monologue to pester him about doing a reboot. Carell did not seem interested in returning to the NBC series, but honestly, that won’t stop this train from moving forward. If they rebooted The Office, they could easily say that Michael Scott is still the Director of Paper Distribution for the Department of Natural Resources in Colorado, which is what his character left to do in Season 7. Bowing to the TV goddesses to give us that reboot we so deserve.